40 years of building America! Want to work at Ford Construction? Ford Construction Company, Inc. has demonstrated experience in a wide variety of heavy construction and general engineering projects. Our modern earthmoving fleet is built to handle large mine excavation projects, including mine overburden removal, heap leach pads, and mine reclamation. We provide custom aggregate crushing and screening for our customers, offering a wide range of options for on-site material processing. 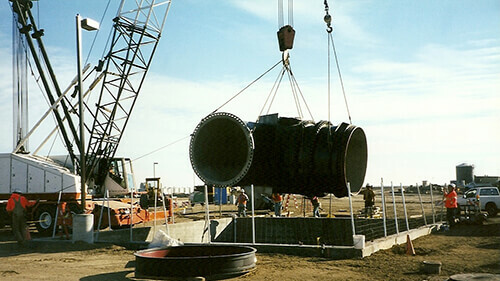 With our skilled management teams and modern equipment fleet, we have the expertise and capabilities required for efficient and cost effective landfill construction and landfill closures. We can demo infrastructure above and below ground, restoring a site as Mother Nature had originally intended. Our capabilities include demo-ing concrete and steel, and turning it into a reusable product. 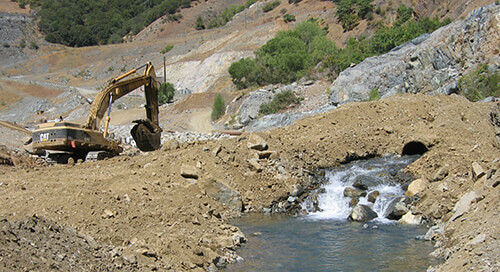 Our dewatering and sediment removal operations perform work throughout Northern California. With years of experience in environmental and wetland restoration, we restore natural habitats and clean up environmental or manmade disasters. 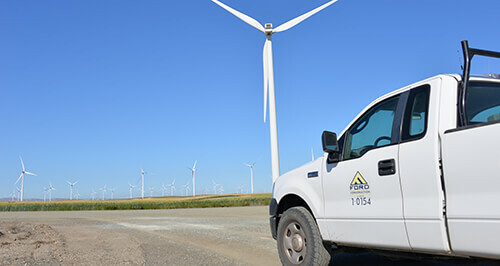 We work with waste companies to capture methane gas from landfills to convert to electricity, partner with wind energy producers to create infrastructure for windmills, and install electric turbines on dams to produce hydroelectric power. 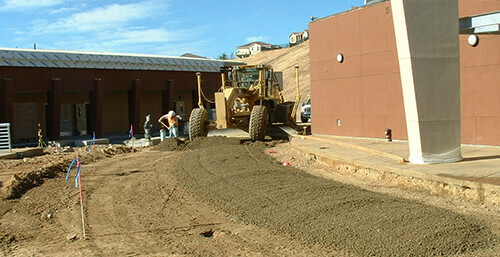 We specialize in site work projects with unique construction challenges and have the proven experience to develop or expand a site and make site upgrades and repairs. 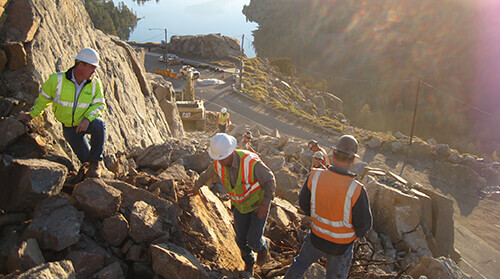 With our experienced crews, large fleet, and immediate access to aggregates, we can mobilize our emergency capability quickly to respond to crisis and stabilize damage.